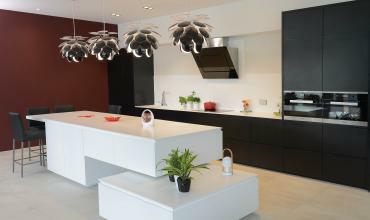 The kitchen, which can be design or traditional, is a space distributed on well defined poles. Real room to be lived and place of exchange, the kitchen has to ally feature and aestheticism. The environment of the kitchen evolves very fast and we know it, that is why we are eager to remain permanently informed of the last trends and innovations. Together we shall realize step by step your kitchen, in agreement with your desires and your budget. 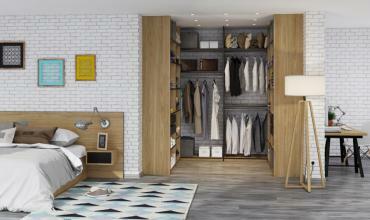 A custom-made dressing room only for you ! 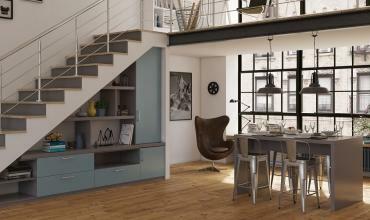 Adapt your furniture to your internal space ! Traditional or design, your furniture of lounge sets the tone and an ornamental line in your inside. Enthusiasts of the wood and the design, we shall advise to you, with our look of professional of the layout. The modes change and we evolve with. But hardly of our know-how of joiners cabinet makers, we are capable of realizing of the former period piece of furniture, just as much as of the contemporary. 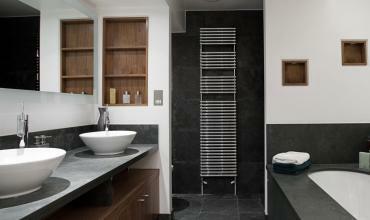 The bathroom, is a place of relaxation and to be well where we spend time there. Room was very exposed to the humidity, we propose you a whole range of adapted materials.